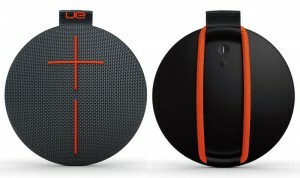 Logitech’s sub-brand Ultimate Ears has launched UE Roll 2, its latest portable waterproof Bluetooth speaker in India. Successor to UE Roll, launched last year, the speaker comes at a price tag of Rs 8,495. The all-new UR Roll 2 will be available in Volcano, Atmosphere, Sugarplum and Habanero colour options. The Bluetooth speaker claims to offer 15% more sound and an increased wireless range of 100-feet with the same sleek, disc shape design of the original UE Roll. It also boasts of IPX7 rating, which means that the device can stay in 1 meter deep water for up to 30 minutes. The speaker promises to offer 9 hours of battery backup. There is also a UE Roll 2 companion app. The app enables users to set alarm, double up the sound by pairing it to another Ultimate Ears speaker. Earlier this year, Ultimate Ears launched its UE Boom 2 portable speaker at Rs 15,995. The UE Boom 2 comes with an increased wireless range of up to 100 feet and promises to deliver 25% louder audio experience as compared to its predecessor. It also has an IPX7 rating which makes it water and drop resistant up to 5 feet. The company claims that the Bluetooth speaker is capable of delivering 15 hours of playback on a full charge. It also has ‘tap buttons’ to control music. There are also iOS and Android apps which enable the UE Boom 2 to connect with another UE speaker for even better sound experience.